Tony Jaa and Wu Jing will star alongside each other in SPL 2. This rumor has been going around for a good while now, and now it’s happening. Productions will start on SPL 2 Spring 2014 after Jaa is done with The Fast and Furious 7 and Skin Trade. If you’re a Martial Art film viewer like me than you know that SPL 1 was a great flick and now I feel it will get a step up on becoming even better with the adding of Tony Jaa after the loss of Donnie Yen to this Project. 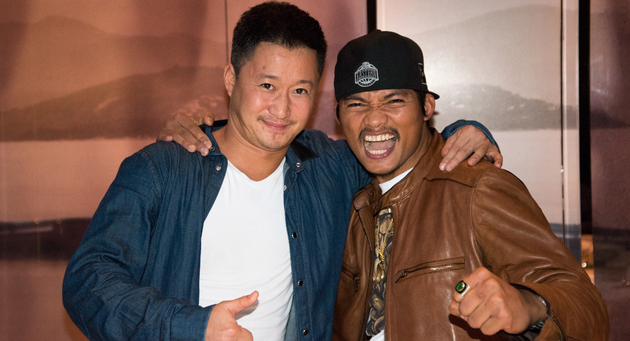 Tony Jaa has signed to star in SPL II which is being produced by Sun Entertainment Culture Limited. The film stars Tony and Legendary Assassin star Jackie Wu (Wu Jing), who probably has the fastest spinning back kick on planet earth. Sun Entertainment will release more complete information shortly, and will update on a regular basis. Shooting begins in early Spring of 2014. Tony Jaa posted on His Facebook about this news. Here is what he has said.